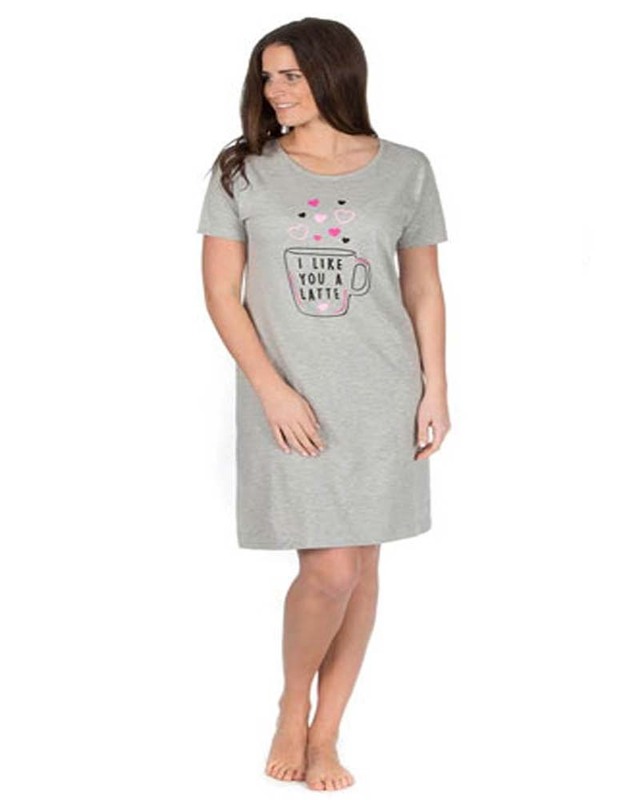 Slumber in comfort in this cotton rich, jersey nightdress from Forever Dreaming. Featuring the slogan “I Love You A Latte”. In a knee length style. And with a round neckline and short sleeves. The jersey fabric features a little stretch for comfort.